With the recent CMS adoption of the 2012 Life Safety Code, having your life safety assets and life safety plans in good order has never been more important. Authorities Having Jurisdiction (AHJ’s) are holding Facility Directors accountable for knowing the status of their life safety assets, the status and resolution of Plans for Improvement (PFI’s), and the adequate documentation of both. These are all part of a facility’s Life Safety Statement of Conditions. Fire Door Solutions offers original and updated Life Safety Prints, Life Safety Surveys to assess the status of a client’s life safety preparedness, and the preparation of a well-formed Statement of Conditions (SOC) required by code. 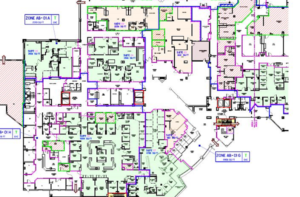 Life Safety Surveys include the assessment of everything from fire-rated construction (above the ceiling), exit signage, emergency lighting, all fire/smoke doors, sprinkler protection firm alarm systems and any other life safety assets subject to AHJ surveys. Confusing, conflicting, or incomplete drawings are a scorable item during accreditation surveys. 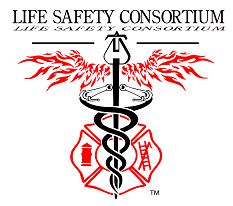 Our expert knowledge of the Life Safety Codes assists clients with establishing a baseline for measuring Life Safety compliance progress, and well as offers the opportunity for educating facility personnel on the key code sections and requirements that can make the difference toward a positive outcome during an AHJ survey. Our regional presence in twelve locations around the U.S. makes access to you and availability quick and efficient. Let Fire Door Solutions get you into compliance fully and quickly. Call for a quotation. Fire Door Solutions – Compliance made easy. © 2019 Fire Door Solutions, All Rights Reserved.